When we first meet advertising executive Peter Brantley he is not having a good day. Depressed over the drug related death of his brother, unable to focus at work, and on the verge of losing his wife, Peter suddenly finds being violently carjacked at gunpoint by a ponytailed fugitive with a gym bag full of cocaine among his growing list of troubles. Alabama native Philip Shirley has woven a tale of revenge and survival in his debut novel, The White Lie. Unlikely crime fighters, Peter and his wife Mary Beth concoct a scheme to avenge his brother’s death only to find themselves caught up in the dangerous world of a drug kingpin, his lizard-skin-boot-wearing sidekick, and a relentless drug task force. While discretely attempting to ransom a sack of cocaine as they avoid being murdered, Peter and Mary Beth manage to learn a few valuable lessons, including the fact that it really does pay to have a few friends and relatives in low places. Philip Shirley’s short story collection, Oh Don’t You Cry for Me (2008) earned him the reputation as a master storyteller. 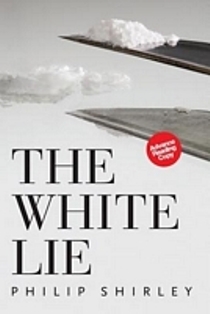 With his careful attention to detail and his edgy, yet believable characters, The White Lie is Philip Shirley at his finest. Mary Beth Mobley-Bussell is a writer and adjunct instructor of English at Newberry College in Newberry, South Carolina.